QUETTA: Situation in Loralai (Balochistan) went serious on Saturday and Sunday as a backlash of murder of Arman Loni, the senior member of Pashtun Tahaffuz Movement (PTM) during a sit-in in Loralai on Saturday. Mystery continues to shroud the sudden death of professor and activist leader Arman Loni. Family and friends of the deceased allege that the police were responsible for killing Loni during a crackdown on a days-long sit-in, yet the police claim that a postmortem revealed no signs of injury. 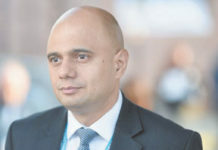 Days later, there is still no clarity on the circumstances of his death — which is threatening to stoke an already contentious issue. According to media reports, Army and rangers did not allow the mourners to participate in the funeral of deceased following which they continued raising slogans against the Pak Army and its Chief and other provocative slogans were chanted in presence of soldiers and rangers. A 11 minute 20 seconds video reflects the aggressive reaction of mourners who were stopped by the Army from going to attend the funeral. 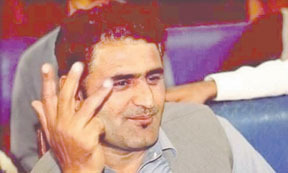 Arman Loni was killed in a police crackdown on a sit-in being held in the Loralai district of Balochistan. Awami National Party (ANP) on Sunday also said that an inquiry should be carried out into the incident. The sit-in during which Loni was killed was staged against continued violence and the alleged forced eviction of locals from the area in the backdrop of an attack that shook the country on January 29. Nine people, including five civilians and three policemen, were killed and 21 others suffered injuries in suicide bombing and firing by militants on the office complex of the Zhob Range deputy inspector general (DIG) in Loralai. While there is no official version to Loni’s death as of yet, according to witnesses, the police opened fire on peaceful protesters demanding rest in the troubled district. On Sunday, the Member of National Assembly (MNA) from North Waziristan, Mohsin Dawar, said that the government of Balochistan had imposed a ban on his entry into the province, as well as that of his fellow parliamentarian Ali Wazir. Dawar, in his tweet, alleged that the provincial government had imposed the ban “to stop us from attending the funeral of Arman Loni”. Both Dawar and Wazir are prominent leaders of the PTM. “Banning MNAs from entering Balochistan and stopping PTM workers from attending funeral of Arman Loni are most shameful, disgusting. By remaining silent mainstream media is undermining itself. Speak up for the oppressed today so that tomorrow others speak up when you are oppressed,” he said in a tweet. According to a notification — dated February 3 — shared by Dawar on Twitter, “the Deputy Inspector General of Police Loralai Range has recommended imposition of ban on entry of Dawar and Wazir along with their supporters of PTM in the province […] in the best interest of public peace and security”. The shared notification notes that the provincial government “has reasons to believe that circumstances exist that demand extraordinary vigilance and extensive security means to preempt any untoward incident”. “Under sub-section (5)(1)(a) and (c) of the Balochistan Maintenance Public Order Ordinance 1960, the government is pleased to impose ban on entry of Dawar and Wazir along with their supporters with immediate effect for ninety  seven days,” adds the notification shared by the MNA. Later, the PHC set aside the North Waziristan administration’s directives barring Dawar from entering the area. It may be recalled that last year, the duo were placed on the Exit Control List (ECL) after a case was registered against them in Swabi. The lawmakers came to know about the ban on their travel abroad on Nov 30 when they were offloaded from a Dubai-bound flight on Peshawar airport. On Dec 20, 2018, the federal cabinet directed the Ministry of Interior to “immediately” remove names of the MNAs from the ECL. The directives were issued during a meeting of the federal cabinet chaired by Prime Minister Imran Khan. PPP Chairman Bilawal Bhutto Zardari condemned the “brutal killing of Arman Loni in Loralai” and demanded that an “independent and transparent inquiry” be conducted into the incident. PPP Senator Farhatullah Babar criticised the ban on entry of the MNAs, calling it “shameful, disgusting”. Balochistan Chief Minister Jam Kamal Khan Alyani on Sunday took notice of the death of Pashtun Tahaffuz Movement (PTM) senior member Arman Loni — who was allegedly killed during a sit-in in Loralai on Saturday — and sought a report from the commissioner of Zhob district. According to an official handout, CM Alyani has directed that the report be submitted to him within 48 hours. More than two dozen activists of the Pakhtun Tahaffuz Movement (PTM) were arrested outside the National Press Club here on Tuesday, police said. A PTM gathering comprising over 60 persons had assembled at the press club in the afternoon to stage a protest over the death of party’s senior member Arman Loni. He was allegedly killed during a sit-in in Loralai. Police have detained scores of protesters, including Pashtun Tahafuz Movement (PTM) leaders Abdullah Nangyal, Gulalai Ismail and Pashteen Idrees, over their participation in a protest against the “extrajudicial killing” of Professor Arman Loni. Nangyal, a core committee member of the PTM, along with social activist and PTM members Gulalai Ismail and Pashteen Idrees, were among more than 80 demonstrators who were rounded up by the police in a bid to scuttle the protest. According to Professor Mohammad Ismail, father of Gulalai Ismail, the activist was picked up from outside the National Press Club in Islamabad while she took part in a protest against Pashtun Tahaffuz Movement (PTM) leader Arman Loni’s controversial death in Balochistan on Saturday. Police initially shifted Gulalai to the G9 Women’s Police Station, Ismail told Dawn.com. According to Gulalai’s father, his daughter was then shifted to an unknown location a few hours after the arrest.”We are trying to trace her whereabouts but the police is not ready to share Gulalai’s location,” he said, adding that so far no First Information Report (FIR) of the arrest has been registered. The development was shared by Gulalai on her Facebook page and MNA Mohsin Dawar on his Twitter account. Sharing the details of the arrest on her timeline at the time of the detention, Gulalai wrote she was being taken to G-7 Markaz Police Station along with all the other participants who had gathered outside the National Press Club (NPC). 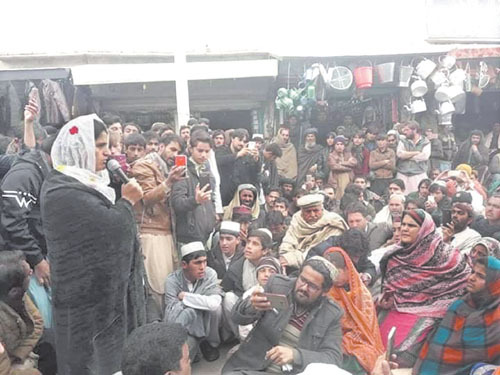 Speaking to Pakistan Today, PTM and Awami Workers Party (AWP) leader Ismat Shahjehan confirmed that at least 82 protesters had been rounded up and that it was not yet clear whether they would be formally charged or if FIRs were being registered against them. 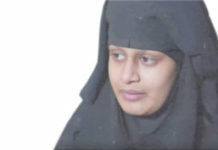 She went on to add that members of the Women’s Democratic Front (WDF), of which Ismail is a member, had gone to see her at the women’s jail but had not been allowed to meet her. “Her friends saw her there so we know she is safe, but we do not know whether she is being charged or how long she is being held for,” she added. Islamabad SP (City) Sayd Aziz was unavailable for comment despite repeated attempts. It may be noted that the PTM had issued a countrywide call for protests after one of its members, Arman Loni, was reportedly killed by police in a crackdown on a sit-in in Loralai. The detention had been in connection with an FIR that Swabi police had registered on Aug 13, 2018 against 19 PTM leaders, including Gulalai, for their involvement in a public gathering in Swabi where PTM’s Manzoor Pashteen and Gulalai both addressed the crowd. Gulalai, a Pashtun and women’s rights activist, was in 2017 awarded the ‘Reach all Women in War’ Anna Politovskaya Award.